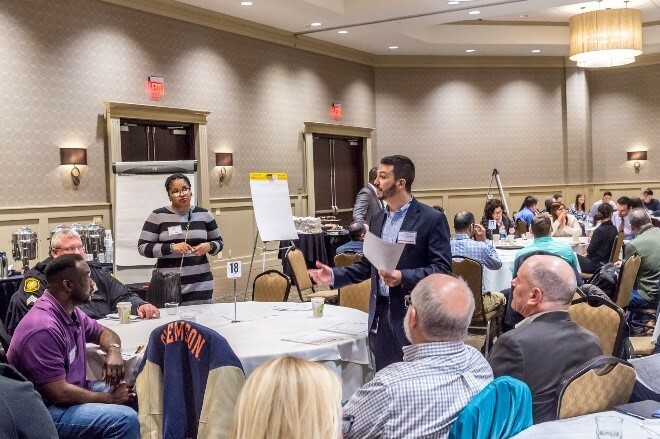 Southeast Michigan Traffic Incident Management Partnering Workshop Connects TIM Partners and the Connected &Autonomous Vehicle Community By Tony Kratofil, PE, Metro Region Engineer, Michigan DOT Chair of the NOCoE Technical Advisory Cmmte. Technology allows us to make phone calls, dictate texts or emails and update social media while driving – all actions that are proven to increase crash risk. The National Safety Council observes April as Distracted Driving Awareness Month to draw attention to this epidemic. NSC wants empower you to put safety first and Just Drive. NOCoE Needs Your Help Improving Its Technical Service Offerings! The National Operations Center of Excellence is currently evaluating its suite of services from 2016, in order to identify improvements for future offerings. Please visit the link below, and answer a series of questions about each of the services that you participated in during 2016. Based on your level of participating in previous services, we anticipate the survey will take between 5 and 20 minutes to complete.